Defective, off-spec or out-of-date products can easily become a health or safety risk - putting your customers in potential danger, and you at a considerable legal responsibility. Or, if your prototype product should fall into the wrong hands, it could spell the end of your business. The solution? Reliable product destruction. 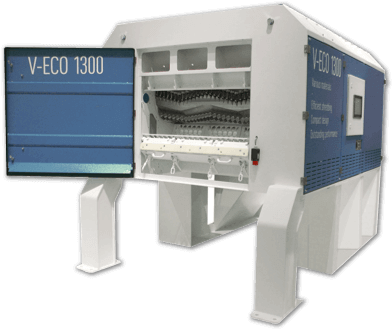 The flexibility of Vecoplan shredders makes them ideal for the destruction of virtually any product. Our expertise means that our shredders not only destroy these products - they do so in a way that meets or exceeds state and federal regulations. This means that your product destruction can be handled entirely in-house, without the expense of an outside product destruction service - and turn those destroyed products into a shredded material with considerable re-sale value. To see how Vecoplan LLC has assisted companies with their shredder needs, click below.